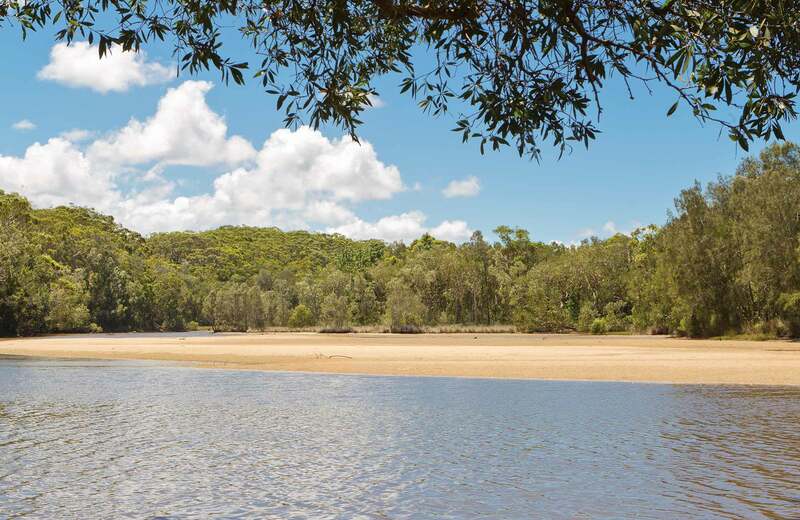 Creekside Station Creek campground in Yuraygir National Park offers family-friendly camping with great swimming and fishing. $12 per adult per night. $6 per child per night. Child rates apply for children aged 5-15 years only. Children under 5 years are free of charge. 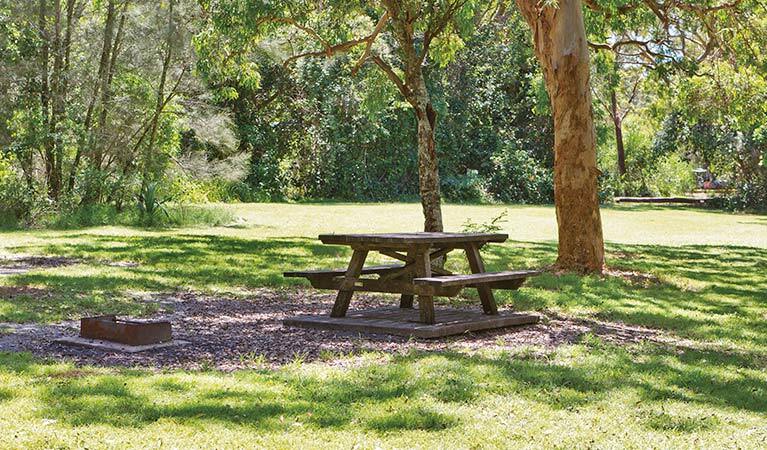 Please note that during NSW & QLD school holidays and long weekends a minimum camping fee of $24 per site per night applies. 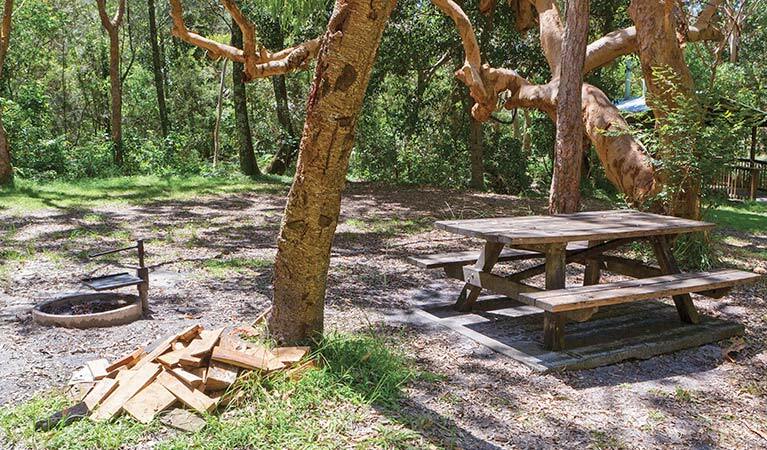 Bookings are not available for this campground, which operates on a first come first serve basis. This is a remote campground, so please make sure you arrive well-prepared. Vehicle entry fees are not included in your accommodation or camping fees. 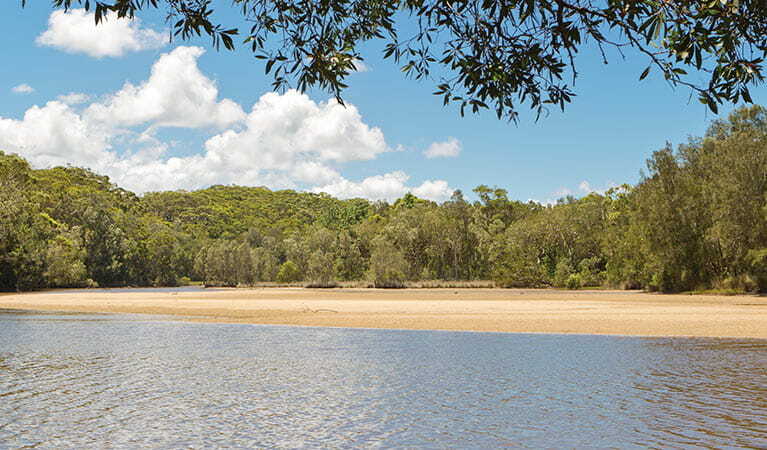 Station Creek campground is a peaceful campground conveniently situated on Station Creek estuary, offering superb fishing, canoeing and swimming. 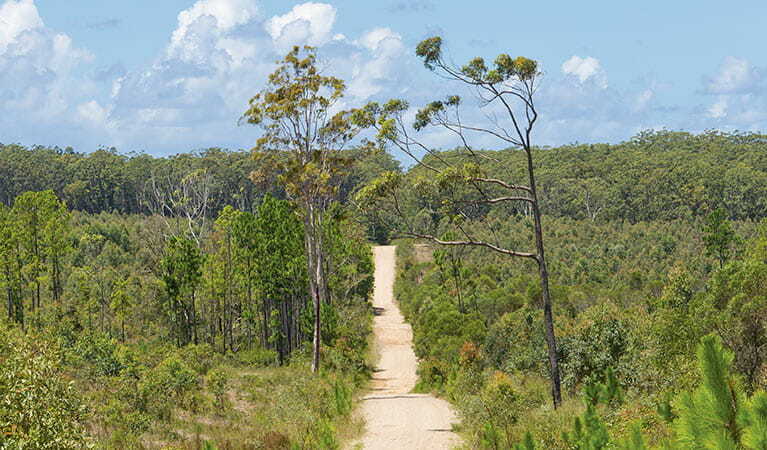 It’s a gentle 600m stroll to the local beach, following a lovely walking track lined with scribbly gum and corkwood trees. The campground is particularly popular with families. It offers a safe environment where kids can go swimming while the grown-ups fish or simply relax in the shade, nearby. Keep your eyes open for the striking brolga around the water’s edge. Also known as the Australian crane, it’s a tall, upright wetland bird with a small head, long beak, slender neck and long legs often seen hunting in shallow waters. If you’re really lucky, you might even spot one of the emus that visit the area now and again throughout the year. Yuraygir National Park is always open but may have to close at times due to poor weather or fire danger. $8 per vehicle per day. The park has self registration stands with envelopes - please bring correct change.